If it’s possible to sum up the story of the Carolina Panthers in a quick short sentence, it’ll probably have to do with the orginization putting too much faith on their quarterback, Cam Newton, disregarding all the other issues needed to be addressed in almost every position. The man to take the bullet? GM Marty Hurney, who has been at the position since 2002, helping the team reach the Super Bowl a year later and the NFC title game in 2005. 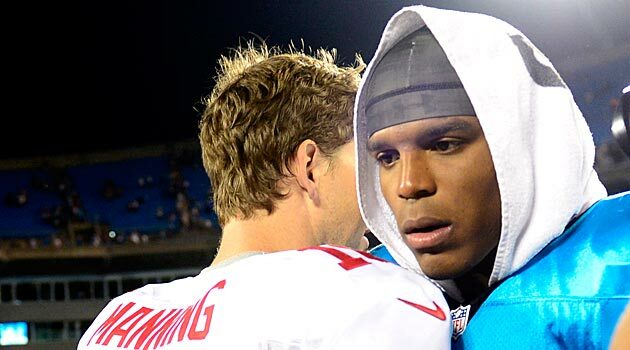 But the Panthers haven’t had a winning season since 2008, and Hurney said it himself – We’re 1-5 after a 6-10 season. I am responsible for everybody in coaching, the players, the scouts and everybody in football operations. The Panthers, by the numbers so far this season, are terrible, beyond the awful win-loss record. They’re 30th in the NFL in total offense and average only 17.7 points per game. That is despite having Cam Newton and two very high priced running backs in DeAngelo Williams, who hasn’t done much since getting the $43 million contract in 2010, or Jonathan Stewart, who makes more than $5 million a year. The NFL, except for certain exceptions, is a passing league. The team’s leading rusher? You guessed it, Cam Newton. Despite having one of the higher payrolls in the league, it seems this team is depleted of actual talent. The policy of building through the draft and then re-signing the team’s best players worked for a while, but has turned the Panthers into an expensive team without much to show for it. Charles Johnson was awarded a $72 million, six-year contract after the 2-14 2010 season, which led to the hiring of Ron Rivera. Where is Rivera in this whole mess? For now, it seems like the owner was more worried about the bad deals made by Hurley, but a better second half to the season won’t save the coaching staff. The Panthers are pretty average when it comes to defense, and their margins of loss, except for the 7-36 defeat at home against the New York Giants, has been by six points or less. This team isn’t as bad as the record shows, but that means someone isn’t doing enough with what he has in his hands. But I do think the Panthers got caught in the wrong kind of strom. Cam Newton is a great player, but building a team without an actual safety net for a quarterback who’s prone to make bad decisions and mistakes early in his career was simply too much for this team to overcome. Slippery hands (7 lost fumbles this season) need a defense that can create turnovers, but they have only 9 so far this season. A recieving crew that is highlighted by an overrated, well past his peak Steve Smith is no help either. A protection line that is far from the best in the NFL. Somehow, this team was supposed to be contending for a playoff spot in the NFC South. The high prices on the salary checks and the presence of Cam Newton made everyone involved with the program to forget not enough has been done around the rest of the field. Firing a GM doesn’t seem to be one of the things that has immediate effect on a team. It’s up to Ron Rivera to get this football team out of the mud, or else, his head is next.